Need new flip flops? Consider getting a pair (or two! :P) from the Earth Hour Collection of Banana Peel, one of the Philippines' leading flip flops brand. These pretty, nature-inspired designs feature glow-in-the-dark straps made from eco-friendly and non-harmful materials. Aside from having a nice pair of comfy slippers (Been wearing mine for three weeks now and I'm very satisfied! ), you also get the chance to support a worthwhile cause! Each purchase will help Banana Peel and their conservation partner, World Wide Fund for Nature (WWF Philippines), deploy solar lamps to families in the remote town of Monreal, Masbate so they can have a more sustainable and safer alternative source of light, other than using the more hazardous, kerosene lamps. Being flat footed, choosing one size bigger than my usual shoe size turned out to be a good decision. It fit me perfectly. Also, I appreciate the honesty on the tag that came with the pair, which explains that the prints are made from non-toxic paint and as a result, the print may wear off. For health reasons, I do not mind at all. Besides, most of the time, my foot's going to be over the design. Most importantly, I really love how comfy the sole and straps feel. It may not be as soft as my old pair but it didn't take more than a day for me to adjust. I've even walked with it continuously for 30 minutes under the hot sun (3:00 PM!) and the level of comfort did not falter a bit. I'm a new fan! Note : This post is a collaboration with Banana Peel. 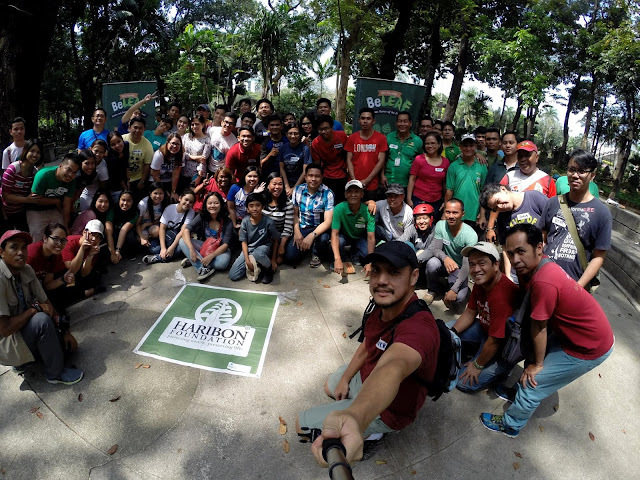 Last February 27, I joined an urban tree trek organized by Haribon Foundation, the Philippines' pioneering environmental organization. The activity, dubbed as "3Ts Tree Trek" is part of the group's campaign to raise awareness on the importance of native trees. 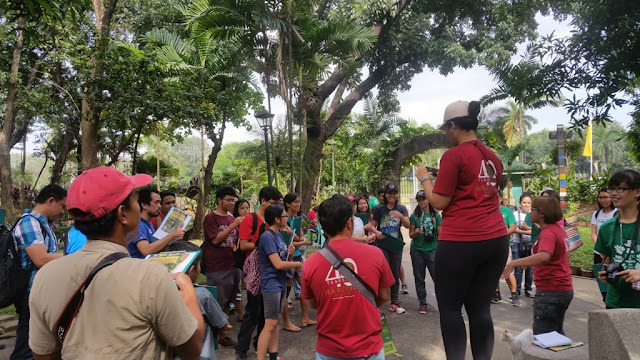 The Ts, stand for Tree, Trek and Tag, an event where participants are taught how to identify native trees and its role in biodiversity (the existence of the variety of plants and animals in an environment). You don't need to have a specific background or be part of an organization. You just have to be quick to sign-up! Event calendars are usually posted through their Facebook Page, Go Haribon. What's even cooler - the lectures are free! 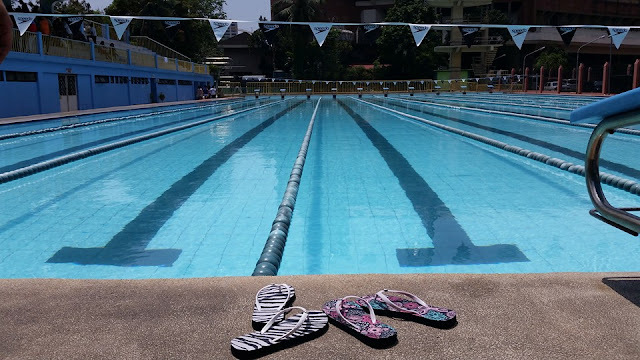 The first two events were held in CCP and in Camp Aguinaldo but I never got to join until its 3rd run, which was at Kanlungan ng Sining, a garden inside Rizal Park (good place for some me time here!). 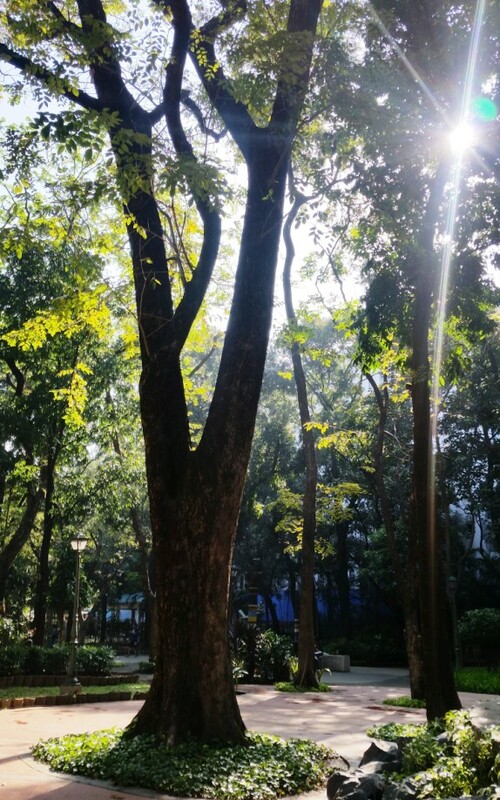 There are native trees planted inside the compound which made it a conducive place to learn about trees. After the organizers from Haribon introduced themselves, we played a game to break the ice. It involved some role playing and a Pinoy game, which in the street is called "bato-bato picks" Haha! (Not sure how they call it in other countries but it involves using the hands to represent rock/paper/scissors). I was never fond of group or parlor games but for the love of trees, I actively participated and enjoyed it too! :P The atmosphere in the group was congenial. The organizers were very open, encouraged us to ask questions and provided additional trivia on trees. There were about 50 participants or maybe more, but we were divided into groups which made it easier to listen. We were also provided with a clipboard, a piece of paper and a pen so we can write notes. 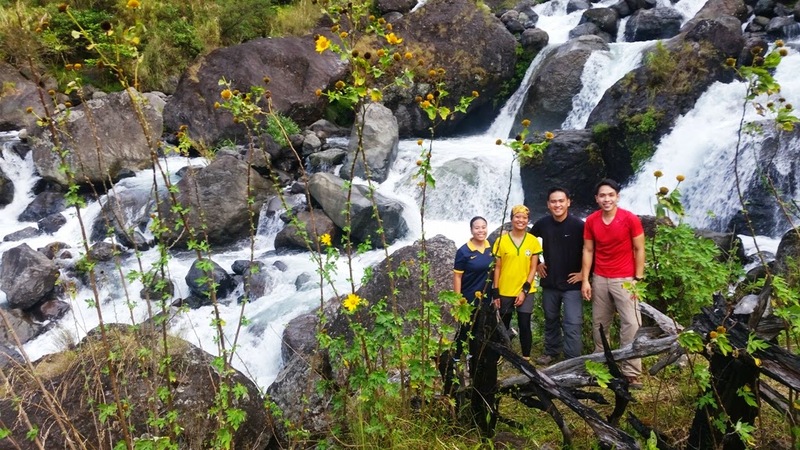 We were introduced to 11 native trees - Kamagong, Botong, Balete, Banaba, Duhat, Molave, Is-is, Narra, Talisay, Dita and Hauili, a small fraction of the 3,600 identified Philippine native trees. The flow of the lecture was fun and informal. Fun details were shared about each tree. During the session, our lecturers also stressed the importance of planting native trees as these are recognized by other organisms, enabling the ecosystem to flourish. Exotic trees however, do the opposite and can even hamper the development of native trees. Trivia 2 : Duhat tree grows fast and can grown in not so fertile soil, very tolerant to heat and resistant to grass fires! Check out this article on why we should plant native trees, An Appeal to People who Plant Trees, a must read to those who are planning to organize tree planting activities after summer. 3Ts Tree Trek is a very enriching activity, especially for someone who is very eager to learn more about trees. I'd love to do this again and perhaps next time, it'll be on a mountain trail! :) Thank you Haribon Foundation! Haribon’s 3Ts (Tree, Trek and Tag) project is funded by the Philippine Tropical Forest Conservation Foundation Inc. (PTFCF). Blowing kisses to you PTFCF! Want to get more involved in nature conservation? Join Haribon! How to be a Haribon Member? Visit their Membership page to learn more about its benefits and register or renew your Haribon Membership. Want to expand your knowledge on trees? Check out these Social media accounts. I am not an admin of any group and I strongly advise that you read the rules of the group before posting. It's not very common that I meet people who feels overexcited about trees. If you're one, connect with me on Instagram (@jovialwanderer), let's tag each other on tree pics!